Apps have become incredibly more advanced in the last 10 years and have thus revolutionised the cycling world. Cyclists can now record rides, set goals, track progress and monitor training much easier than they could in the past, vastly increasing the opportunities on offer to them. But with so many different types of apps available on the market, choosing the ones best suited to you and your requirements can be a difficult task. 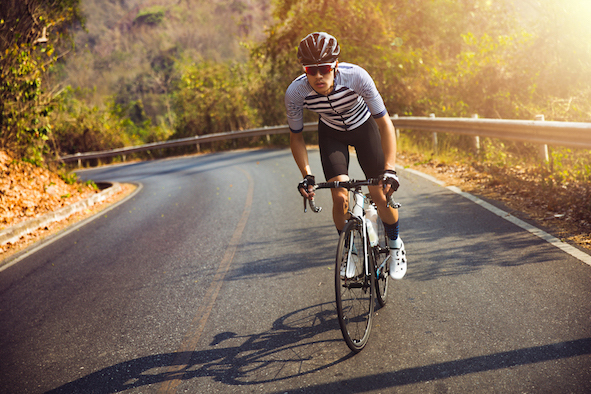 Some specialise in tracking long-distance rides, whereas others focus on planning routes or motivating you during your training – there really is an app for everything nowadays! So to help make sure you find the one you’re looking for, here we’ve created a handy guide that lists and explains some of our favourite and most reliable cycling apps. Strava is one of the most popular apps for cyclists and runners alike. Designed by athletes for athletes, the apps allows you to not only track your rides, but also view a whole host of stats, such as your average pace, elevation ridden, heart rate and so on. Your activities are visualised and divided into segments so that you can view each of these stats during specific parts of your rides and view your personal records. What makes Strava particularly great is its social element. Cyclists can share their efforts with friends and followers as well as compare their performance against other riders. The app is quick, easy-to-use and perfect for both experienced cyclists and those getting on the saddle for the first time. If you’re often needing advice when it comes to repairing your bike, The Road Bike Manual is an app you definitely need installed on your phone. It’s a complete bike repair and maintenance guide featuring dozens of step-by-step tutorials, videos and images about every aspect of road bike repair. From the drivetrain and brakes to the wheels and frame, the guide explains everything you need to know and is an essential resource for everyday maintenance. It also features a cool ‘Get Me Home’ section where you can learn a range of skills that’ll ensure you make it home should you encounter a broken handlebar, damaged wheel or other type of sudden fault. Google Maps is an app we simply cannot live without. It’s considered by most as the best navigation tool for your phone, and is invaluable if you frequently take a wrong turn while out and about! Although the app is usually used for directions while driving, it’s also favoured by cyclists all over the world for its awesome cycling directions service. It offers a specialised map solely for cyclists, enabling you to easily locate bike lanes and bicycle-friendly roads, as well as create customisable routes for you to follow – audio turn-by-turn instructions can also be turned on if you wear earphones and want directions while riding. If you regularly train indoors on an exercise bike, then Zwift is the ultimate way to ramp up your training and push yourself to go the extra mile. It’s an online platform that allows you to race through real, replicated world-class cycling routes from the comfort of your own home or gym. The app works with a range of trainers and takes you to a virtual environment where you can either compete against yourself or other Zwift users from around the world. It’s the perfect app for athletes wanting to incorporate competitive indoor riding into their offseason training or those who still want to enjoy training when the weather’s not great. Whether it’s cycling, swimming, running or any other type of physical activity, motivation is key. Having something to work towards can help you to ensure you get the most out of your training and perform at your best. Finding this motivation, however, can be easier said than done. Endomondo is a motivational coach that gives you that much needed bit of inspiration. The app enables you to easily set yourself individual goals, create bespoke training programs and monitor your progress over time. It doesn’t stop there though, it also features an audio coaching element that will kick in when the app recognises you’re struggling during your ride. Say for example you’re struggling with a steep climb, you’ll hear a little voice of encouragement to keep you pushing on. Here at Race at your Pace, we’re committed to ensuring people of all abilities and experience enjoy cycling. Every month we organise our popular virtual challenges which task cyclists to cycle a specified distance before the turn of the month. And once completed, you’ll receive a prestigious medal and slick compression top as a reward for your hard work! See more: What is a Virtual Challenge?